Welcome to Blackberry Ridge Resort, a premium resort-style getaway in Pigeon Forge, Tennessee. 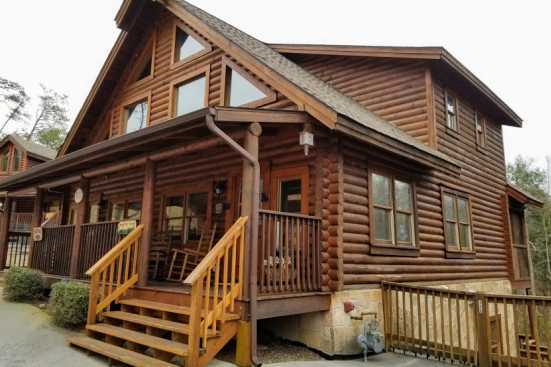 Blackberry Ridge Resort offers cabins from two to four bedrooms to accommodate both small families of four to larger groups of up to nine vacationers. When you're ready to venture outside the resort grounds the opportunities for fun and adventure are boundless. Looking for a tasty way to satisfy your vacation sweet tooth? Look no further than Mad Dogs Creamery. Just imagine sitting on the top of a mountain looking into the wilderness while enjoying a delicious homemade ice cream. Fantasy Golf is Pigeon Forge's top-notch miniature golf course. Boasting two separate 18-hole courses loaded with wacky obstacles and of course dragon and mermaid statues. Fantasy Golf is sure to be an experience the whole family won't soon forget. SMBYO.com is the premier booking website for all things related to vacation rental properties in Pigeon Forge, Tennessee. Whether you're taking the family out for a nature walk or heading up the road to squeeze in an 18-hole round of miniature golf, there is something to entertain and excite the whole family in Pigeon Forge.